Pablo Picasso "Toros y Toreros"
de Haas, M. F. H.
Medium: offset lithograph (after the the drawing). Executed as a sketchbook drawing during the middle 1950's and subsequently made available by Picasso for publication. 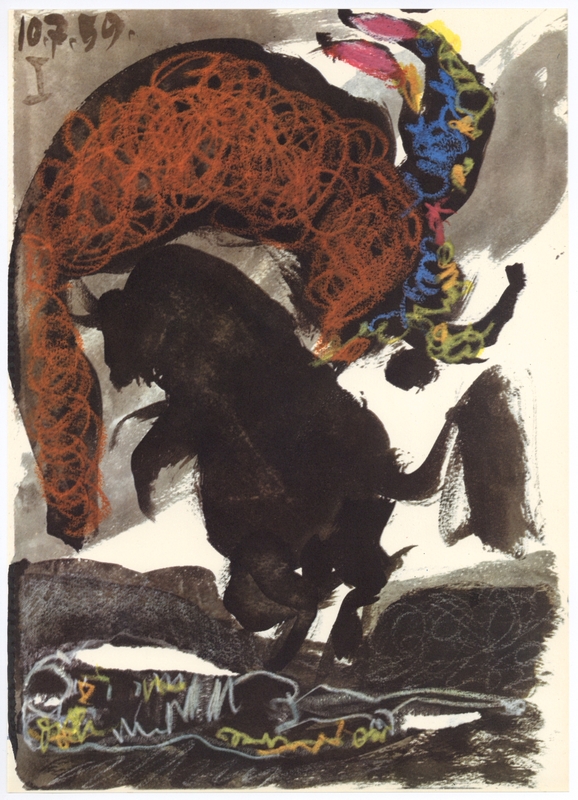 Printed in Paris in 1961 by Mourlot Freres for the "Toros y Toreros" portfolio. Sheet size: 14 3/4 x 10 1/2 inches (370 x 265 mm). Not signed. © Copyright 2016, AffordableArt101 Fine Prints. All Rights Reserved. Built with Volusion. We accept: Visa, American Express, Discover, Mastercard and Paypal.